President Trump and Kanye West are officially teaming up to … make America great again, and their plan will kick off with lunch at the White House. 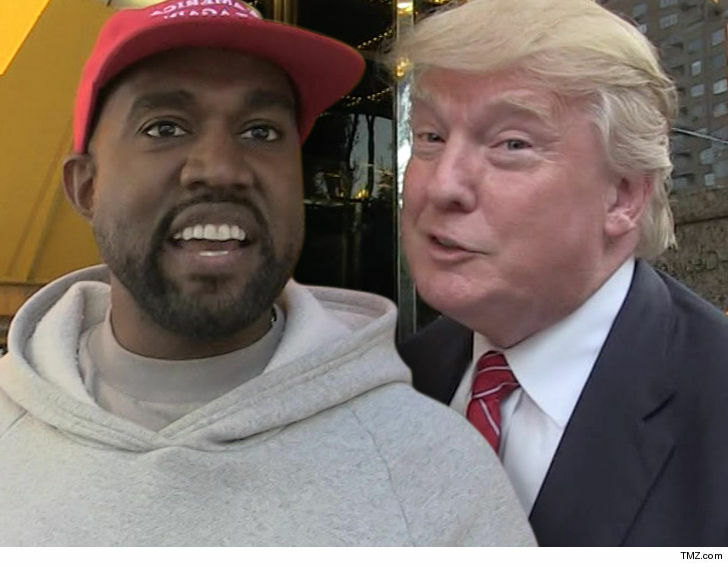 Kanye and 45 are set to meet on Thursday, and their agenda will include discussing boosting American manufacturing and preventing gang violence, especially in Ye’s hometown of Chicago … according to the White House. They’ll also continue the convo on prison reform … which Trump started with Kanye’s wife, Kim Kardashian West, during a September meeting. When he was here at TMZ last week, Ye said he’d been trying to encourage Colin Kaepernick to sit down with POTUS … now he gets to work the other side. This will be their first face-to-face meeting since late 2016 when the rapper, shoe and fashion mogul met with then President-elect in NYC. The question now for Kanye … what to wear? MAGA hat or no?